i'll be honest: i'm feeling pretty yucky. i'm healing fine but i'm a tired, puffy, sore, swollen mess. adding insult to injury, accompanying the luckiness are the three new scars in the battle wound loot that is my abdomen. it's got me all a little down. i think that going under anesthesia twice in eight months has taken a toll on my body and it is desperately craving a consistent normalcy. 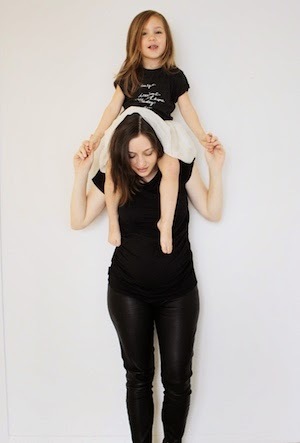 i also miss being able to love and cuddle my girl- the few times i've done it, i've regretted it tremendously due to the accidental toddler foot jabs to the stomach or straining my sutures from holding her. what's even more annoying is that i didn't do anything to contribute to the loss of those two organs: i take good care of myself, i try really hard to make good and conscious choices about food and health. yet, at the end of the day, i still had to have surgery, recover, heal, and adjust. again. which. is. frustrating. it adds emotional defeat on top of physical defeat. sure, a gallbladder and appendix are expendable, but, organs should stay where they belong... in mah body. you know? so. naturally, i bought myself a few things to get out of the yuck-funk that i currently find myself wallowing within. a pity party pick me up, if you will. 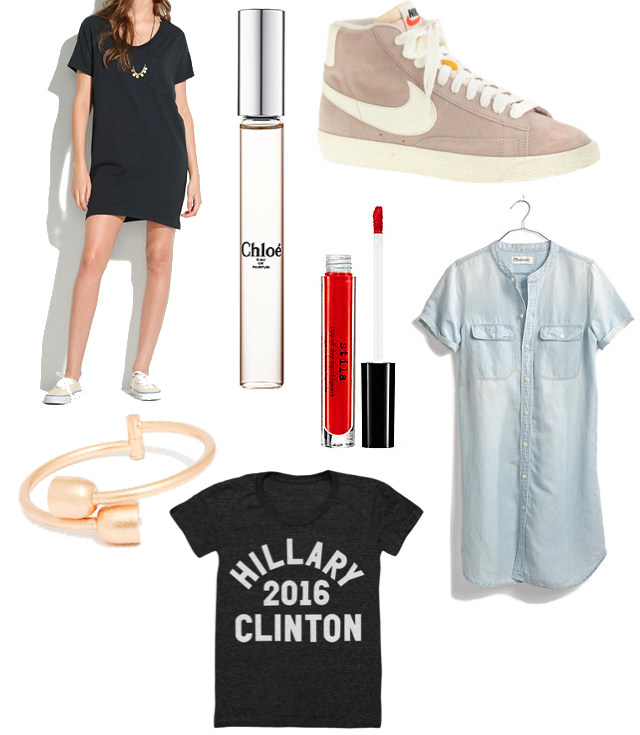 Yes, yes, yes to that Hilary tee.